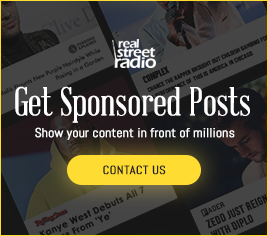 Fort Worth, TX – Even though rapper Tay-K has been locked up at the Tarrant County Lon Evans Correction Center for over a year, that’s not keeping him out of trouble. 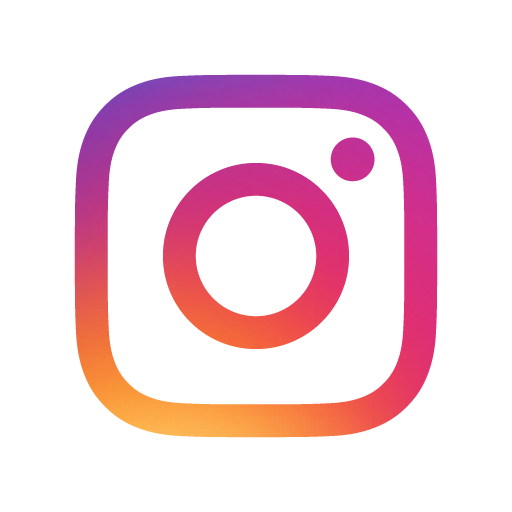 According to the Star-Telegram, the North Texas teenager was allegedly caught with a cellphone last month and has racked up another felony. Sheriff’s officials reportedly said after the cell phone was discovered, Tay-K attempted to flush it down a toilet before getting into an altercation with one of the guards. The deputy felt some kind of contraband near Tay-K’s “groin region.” The item turned out to be a cell phone and charger stuffed into a white sock and tucked into his underwear. Prosecutors added a third-degree felony charge of possessing a prohibited item inside a correctional facility last week. The Tarrant County Inmate Search page says he was charged on August 2, while McClelland told the Star-Telegram he was caught on July 25 as a deputy was doing a pat-down. 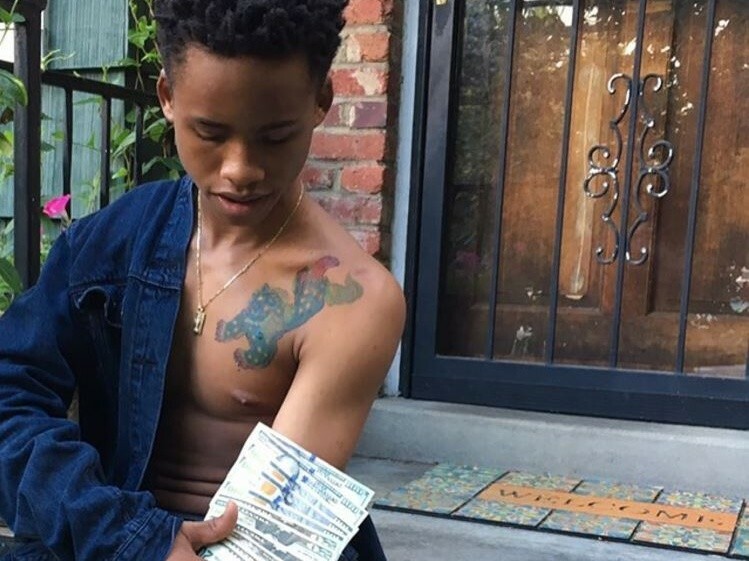 Tay-K is charged in the 2016 death of 21-year-old Ethan Walker, who was killed during a home invasion in Mansfield, Texas. While on house arrest, he cut off his ankle monitor and fled his home. During his time as a fugitive, the now 18-year-old was identified as a suspect in another murder and accused of assaulting a 65-year-old man. He was apprehended in Elizabeth, New Jersey on June 30. 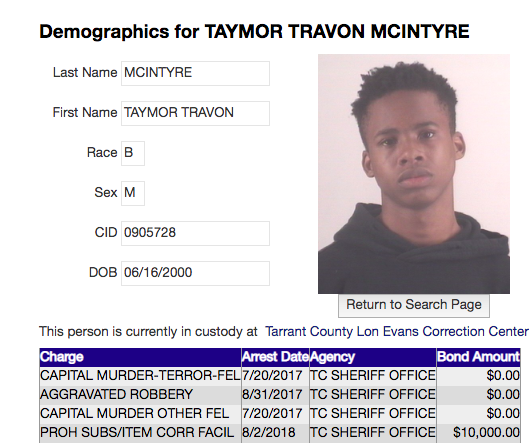 Tay-K was charged with two counts of capital murder and aggravated robbery.